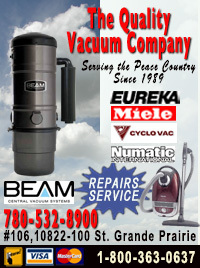 Grande Prairie HOME IMPROVEMENTS - RENOVATIONS -Quality Vacuum, Kakwa Stone, Bama, Bed Shoppe, Midwest on Main, Mrs B's Drapery, Carpet Superstore, First Choice Electric. 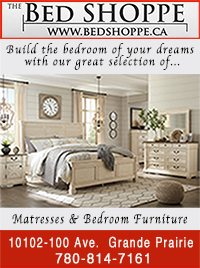 From Kitchens to Living Rooms to Bathrooms. Over time rooms become worn or outdated and there becomes a time when a fresh look is needed to maintain or improve the value of a home. 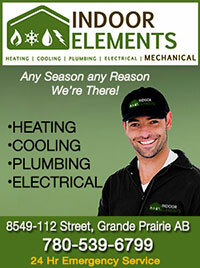 There many qualified and experienced trades people who can help your dreams come true. A lot of work in planning and behind the scenes is necessary before any project starts. 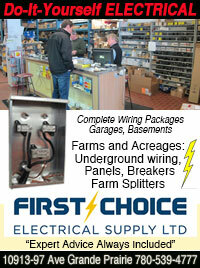 The right tools makes a difference, as well as qualified technicians are necessary to do the job right. 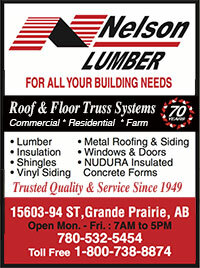 Nelson Lumber, Indoor Elements, First Choice Electrical, Avant-Garde Plumbing & Gas. 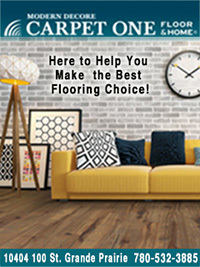 Once the walls and floors are installed, and colors applied, it all starts to come together with carpet, vinyl and hardwood flooring. 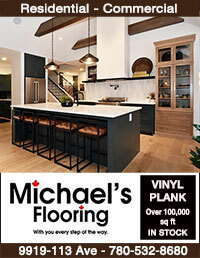 Modern Decore Carpet One, Flooring Superstores, Michaels Flooring. 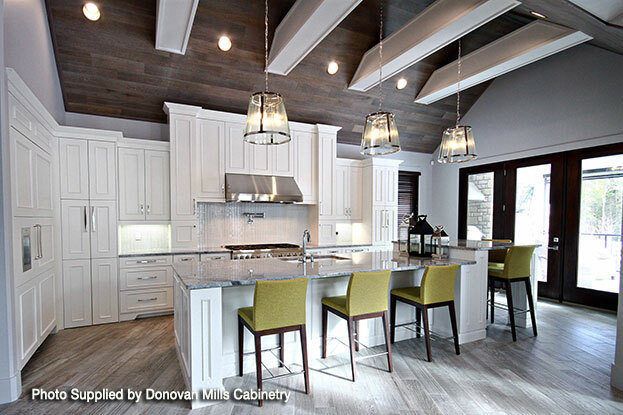 All it takes is to add your own personal touches with cabinetry, fixtures, furniture, appliances and accessories to give it an individual feel. 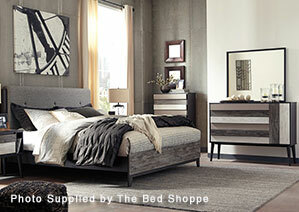 Sheer Illusions,Quality Vacuum, The Bed Shoppe, Midwest on Main. The outside of your home is what people see first. Having better landscaping can give your home better curb appeal as well as new siding, windows and doors. 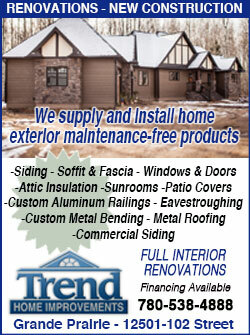 Kakwa Stone, Trend Home Improvements , Northern Doors. Keeping your home safe is also important. 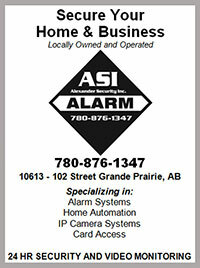 ASI Alexander Security. HOME IMPROVEMENTS - RENOVATIONS. 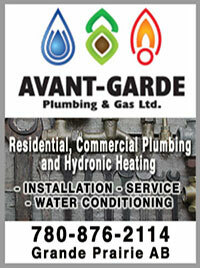 Contact any of the advertisers on this page to get your job done in Grande Prairie and Area..